MyFitnessPal is a popular app that tracks exercise and diet to determine optimal calorie intake for the users’ goals. It’s quick and easy to use, making it the ideal companion for managing your eating habits, water intake, weight and daily exercise. Included is a calorie counter that adds calories when you select food items that you eat during the day, and subtracts calories according to the amount of exercise that you input. It is rated the best free program in overall food variety, calorie awareness, maintenance and overall satisfaction. 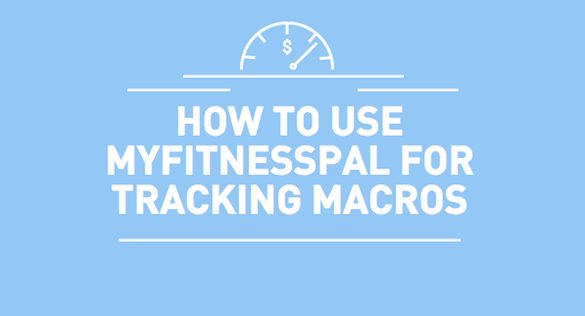 To date, MyFitnessPal has millions of users worldwide. We created a step-by-step guide for those who are interested in knowing how to use MyFitnessPal for flexible dieting/IIFYM. MyFitnessPal can be downloaded through any iOS or Android device. Download the MyFitnessPal app from the App Store or Google Play Store. Open the MyFitnessPal app. You can sign up with email or with Facebook. You can choose to Lose Weight, Maintain Weight or Gain Weight. Lose Weight will put you in a caloric deficit, Maintain Weight will give you your estimated maintenance, and Gain Weight will put you in a caloric surplus. You can choose among Sedentary, Lightly Active, Active or Very Active. Choose sedentary if you spend most of the day sitting. Choose Lightly Active if you spend a good part of the day on your feet. Choose Active if you spend a good part of the day doing some physical activity. Choose Very Active if you spend most of the day doing heavy physical activity. Choose Male or Female and input your date of birth. This will help towards calculating your daily recommended caloric intake. Input your estimated height and weight. Don’t worry if it’s not exact, you can update your details later on. Enter your email address, password, user name and country. Your account has been created. You will also be presented with your daily net calorie goal. Tap “Continue”. Follow the step-by-step tutorial. You will be asked to make your first entry. You’re done! You should see your first entry into your diary. Now that you know how to use MyFitnessPal, you can start adding more foods through their database or add some of your own.